The tech trends in our startup world are just as fickle as Wall Street or 5th Avenue. Some have staying power – like a classic little black dress from Bloomingdale’s. Others have the potential to crash and burn – like Facebook’s stocks. Ouch. But according to Erik Sherman, tech blogger extraordinaire, there are 5 trends that you shouldn’t bother following in 2013. We’ve all seen them, some of us even use them. They’re the bar code thingy you see on products, in stores and even on public transportation. 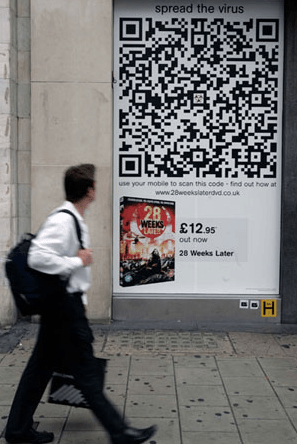 It’s a “quick response” tactic to get consumers to visit your website by scanning the QR code with their mobile phone. Why Erik says you should ignore this trend: It only reached about 6.2% of the total mobile-using population, and confusing to most consumers. Erik’s suggestion? Focus on marketing communication that will reach your target audience better and that most will actually understand. This is a trend everyone thinks they need, but actually don’t. The reality is that most businesses have a tiny fraction of data points compared to the companies that need big data (like Google), that they need analyzed to help with their growth. Why Erik says you should ignore this trend: Besides not needing big data, making sense of all this data is incredibly challenging too. Erik’s suggestion? Use small data, make your product better and connect with your customers personally. I actually hadn’t heard of this trend before. Apparently, businesses have started a “bring your own device” policy that allows employees to work on their own computers, smart phones, tablets, etc, so that their more productive and it’s less hardware heavy for businesses. Why Erik says you should ignore this trend: Letting your team work off their iPad doesn’t mean they’ll be more productive. Period. And, passing along the IT maintenance responsibility to your employees is risky business. Erik’s suggestion? Find out what resources your employees need and make sure they have them, and if BYOD makes sense, do not move the whole team over at once. Do it little by little. It seems like every business wants to get in on this gamification trend, turning their applications into badge-receiving, point-building, game-winning devices. Why Erik says you should ignore this trend: Although this might work for some businesses, gamification can be gimmicky and short-term solutions, at best. Erik’s Suggestion? If you don’t have the insight and best practices to support gamification, you will lose customers’ whimsy and ultimately their attention. Go with what you know. The money that’s thrown around the startup world is insane. Billions and billions. VC’s have injected massive amounts of seed and first-round money into young startups, and let’s not forget Instagram’s $741 million buyout. Why Erik says you should ignore this trend: Though there have been some shining stars in the VC market, so many startups that have graduated with honors from the countless accelorators and incubators around the world have never seen the light of day. Erik’s suggestion? Focus on creating a business that has lasting value for consumers, not just some “get-rich-quick” idea that you think is the next Instagram. When it comes to growing a successful startup, think little black dress; trendy yet classic. Think about it.